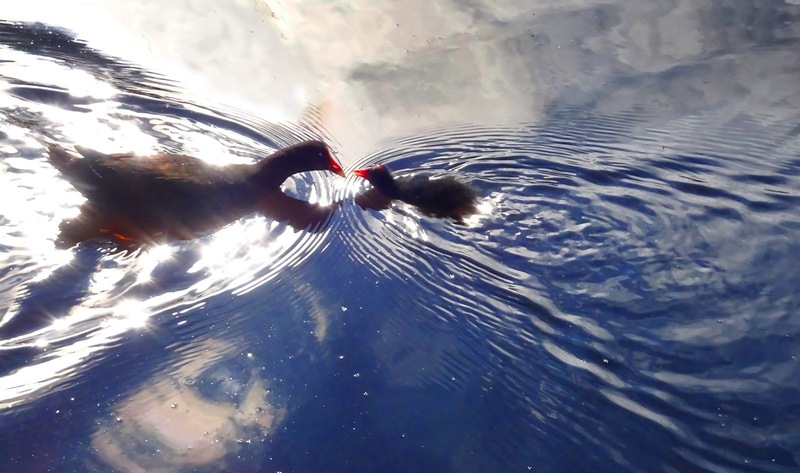 A dusky moorhen (Gallinula tenebrosa) feeding her chick. and also part of the Camera Critters meme. Hello Nick, sweet shot of the Moorhen and the chick. Thank you so much for linking up and for your nice comment and visit. Happy Saturday, enjoy your weekend. I am finding I have no ambition today & I should be out birding. Instead I tought I'd go out in search of those fine feathered beauties with YOU! Thanks for letting me and all at I'd Rather B Birdin' tag along. This mothering hen makes me feel good!